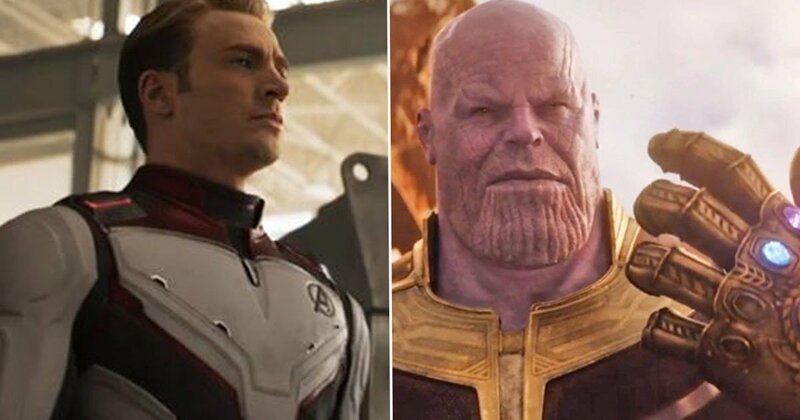 It feels like the wait has been forever, but in four short weeks the world will sit stunned as the Infinity Saga reaches its Endgame. When Avengers: Infinity War closed on its cliffhanger ending global audiences were stunned at the fate of their heroes. Now, as the final chapter of a series of films that has spanned more than 10 years, 22 films and countless hours spent in front of the screen, Joe Russo – one half of the duo behind Captain America: Winter Soldier, Civil War and Avengers: Infinity War has spoken with BoxofficePro, and dear god just make it the end of April already. Joe Russo explained how he and brother Anthony worked with Christopher Markus and Stephen McFeely who wrote the screenplays for the four films they’ve worked on in the MCU. Since the beginning, it’s been a very tight, collaborative process between the four of us. We’re really the engine of the vision behind the movies we’ve made together. We have a very specific process that we developed in television, which involved sitting in a room together for months on end, breaking story together, talking through story together. It’s a very iterative process and a collective process. The best thing I think Marvel’s done is to galvanize the audience. It’s like a rock concert when you go to a Marvel movie on opening weekend. There’s an energy and an excitement there that you’re not going to get sitting at home. There’s a sense of community. There are people cheering and laughing and crying and following along with the story collectively in a way I don’t know you’ll see again outside of the Star Wars franchise. The emotional connection is so strong for a lot of people. In the weeks following the release of Infinity War there were stories of people being carted out of cinemas in shock, and people that literally kept coming back dozens of times for more. When this is the final part of the saga, it’s a little surprising they haven’t included a health warning in the marketing of the film. But how do the Russos and co. make epicly engaging, touching and funny films on such a large scale? Joe Russo attributes it to their background working on cult comedy shows Community and Arrested Development. We spent a decade squeezing complex comedy stories with many, many characters, both of those shows being big ensemble shows, into 21 minutes. We’d call it ‘the Russo path,’ where we came in and squeezed it down to a density that we felt would elevate the show, because it would move so quickly that you’d miss half the jokes and have to watch it again. That was an agenda of ours. The same thing is true when we work on these Marvel films. We try to create a density in storytelling that makes them feel compulsive, irrespective of the length. We’re very rigorous about storytelling points, and we spend months in the edit room twisting and turning the narrative a bunch of different ways until we think we’ve unlocked the best one. We’re vigilant about using test audiences to tell us whether we’re on the right track or we’re making bad decisions. With Endgame, it had one of the most incredible audience responses in Marvel history. Irrespective of the length, it’s been consistently embraced by the test audiences. There’s even more at the box office.